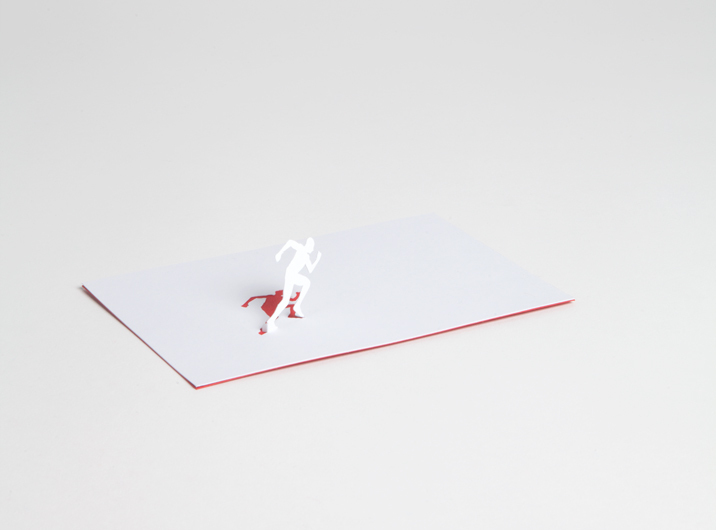 Each card reveals a delicate paper figure in the form of an olympic athlete. 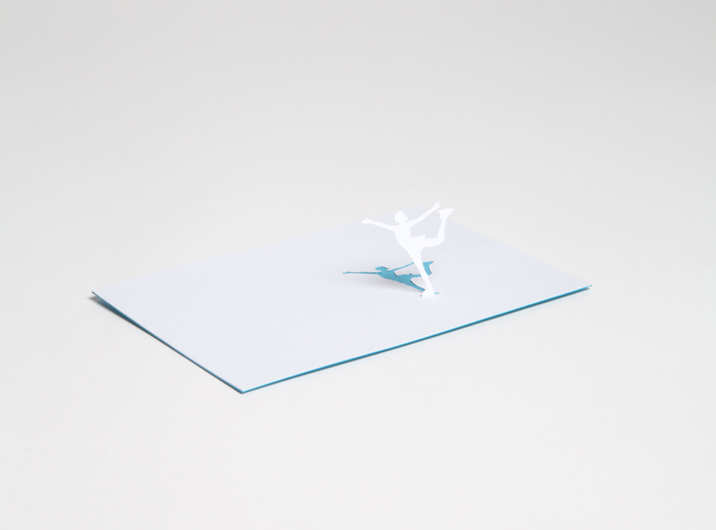 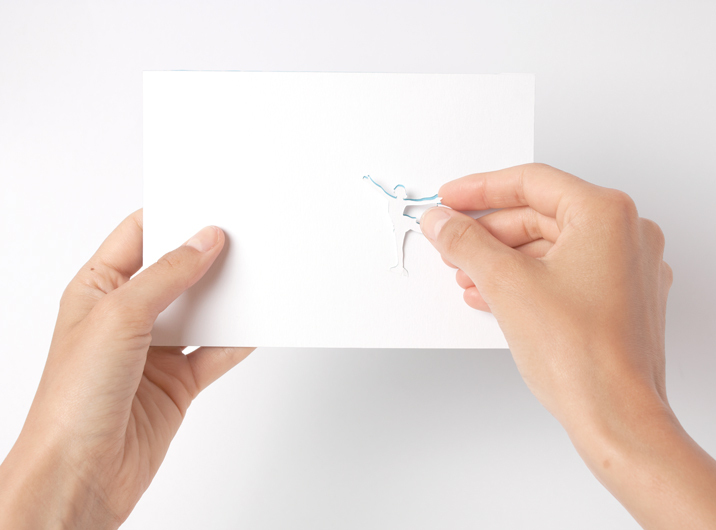 When the paper figure is opened it leaves a colorful shadow, the same color which is on the backside of the card. 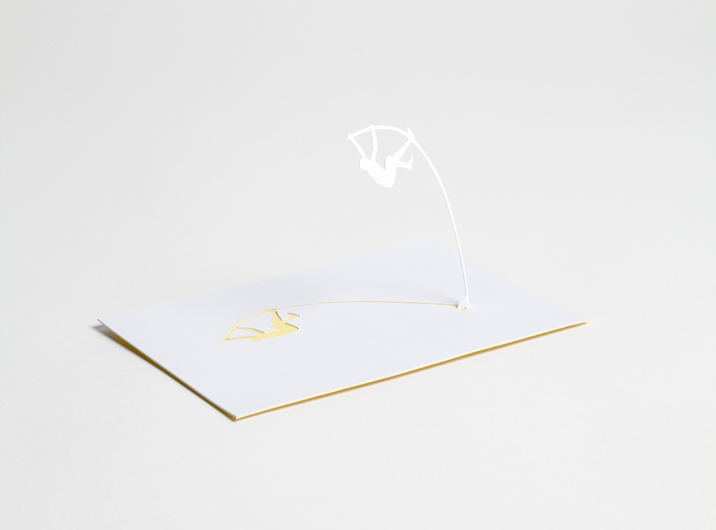 The cards are pre-cut and scored ready to flip open - a small tap secures that the figure stay standing. 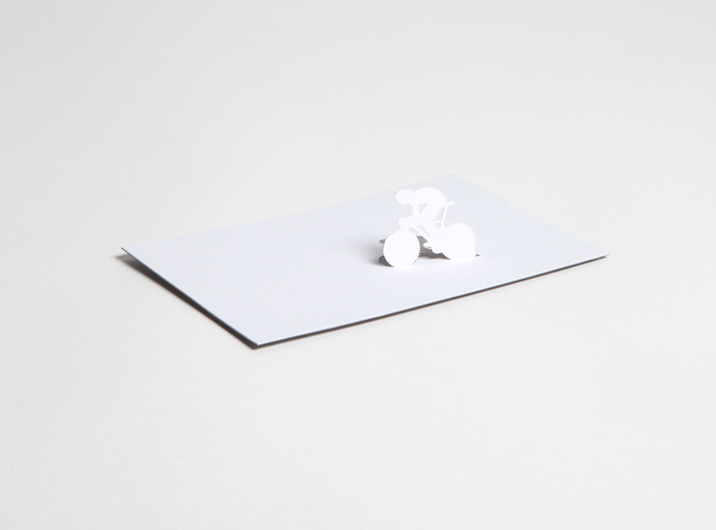 These cards has been selected to be an official Olympic souvenir and will soon be available at the Olympic Museum in Lausanne. 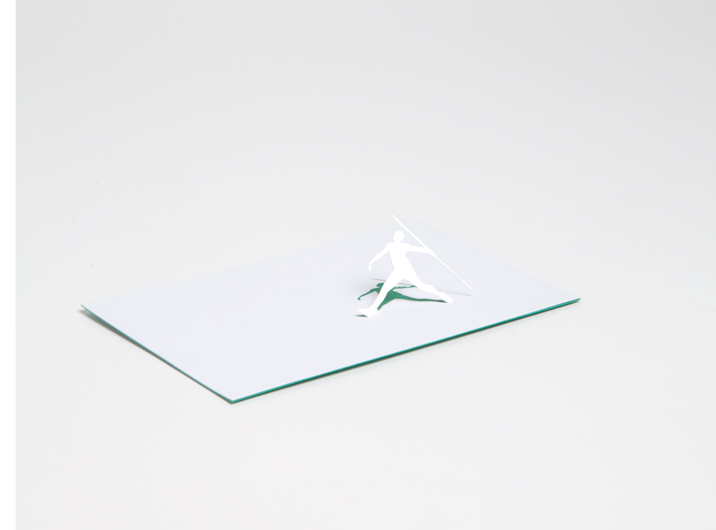 Made as one of the projects during the exchange at the ECAL/University of Art and Design Lausanne in collaboration with The Olympic Museum.